The word that was suggested most often for this blog by friends was the word “peace”. I’ve chosen a couple of images to try to represent that. 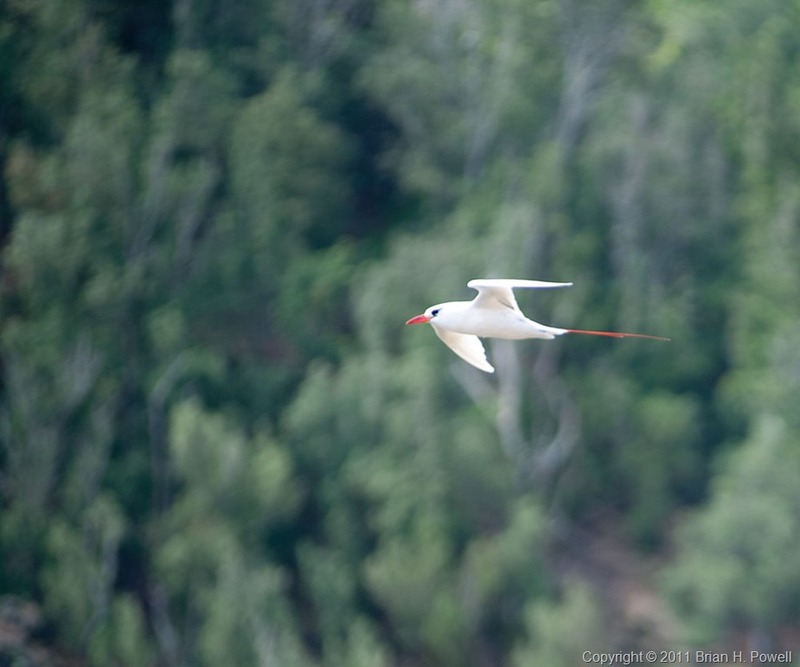 Earlier this week, at the Kilauea Lighthouse on Kaua’i, I took this photo of a Red-tailed Tropicbird (Phaethon rebricauda). There were scores of these birds along the nearby cliffs. Graceful. Peaceful. 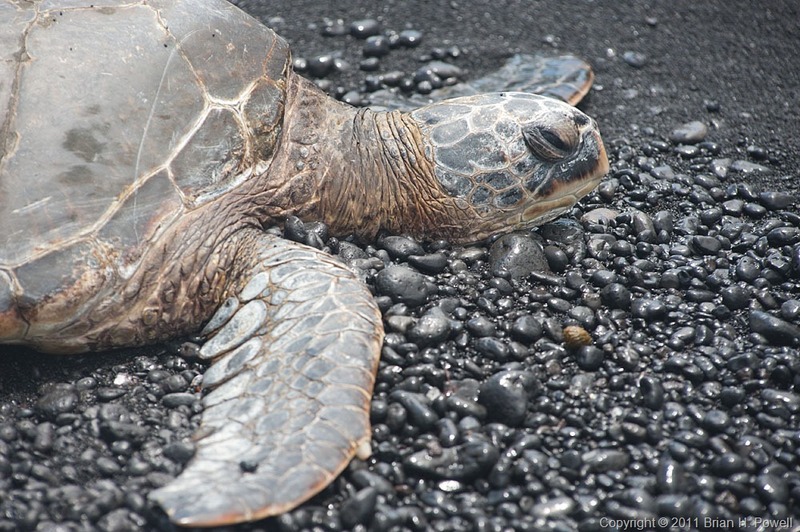 And today at Punalu’u Beach Park near the southern end of the Big Island, I saw this Green Sea Turtle (Chelonia mydas) sleeping on the black sand beach. This is my last Hawaii blog post until I get back and write a wrap-up. I hope you’ve enjoyed this series. See you soon. It’s hard to believe that tomorrow, I’ll have been here a week already. On the day after tomorrow, I will start home. I have several images I want to show you, and I was also struggling with which inspiring word to use for today’s post. I finally chose two images to fit with the word “power”. 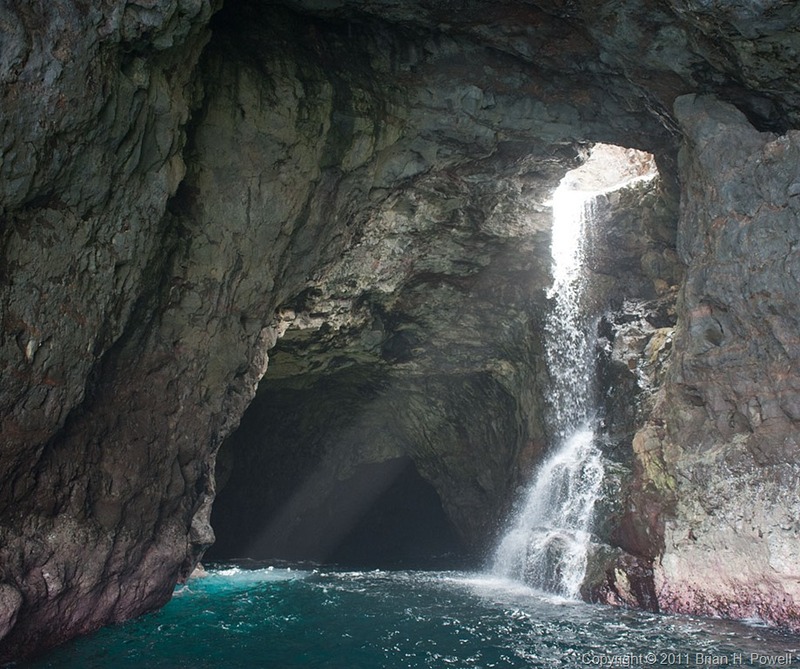 This morning, we went on a boat tour with Lava Ocean Adventures along the southern coast of the Big Island. There’s no lava flowing into the ocean right now, so I don’t have any dramatic photos of that. 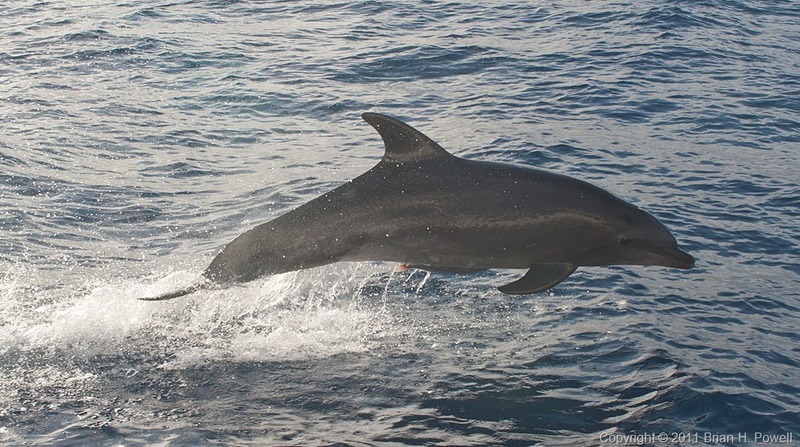 I did manage to get this photo of a dolphin who swam near our boat for a few minutes. Seeing this image, I am reminded of the word “power”. Most of the rest of our day was spent in Hawaii Volcanoes National Park. We ended the day at the Jaggar Museum overlook, photographing the inner caldera and the glow of the hot lava in the steam clouds. This image also reminds me of “power”. 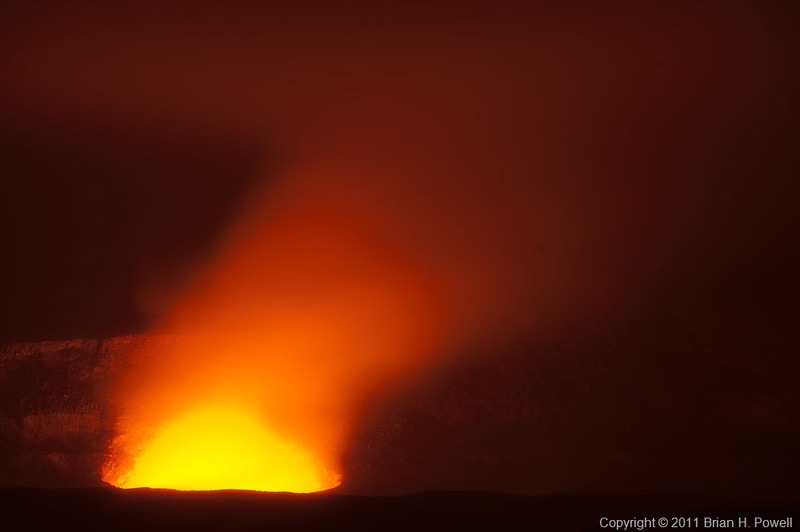 The lava here stays in the caldera, and does not flow out to the ocean. More adventures tomorrow. See you then. A reminder that I asked a few friends to suggest words to inspire topics in this blog. I found out this afternoon that one my best friend’s dog passed away. Those of you who know me know that I’m a dog person, and I was deeply affected by this news. My heart goes out to Shelley, Cory, Sierra, and Lyla for the loss of their family member. 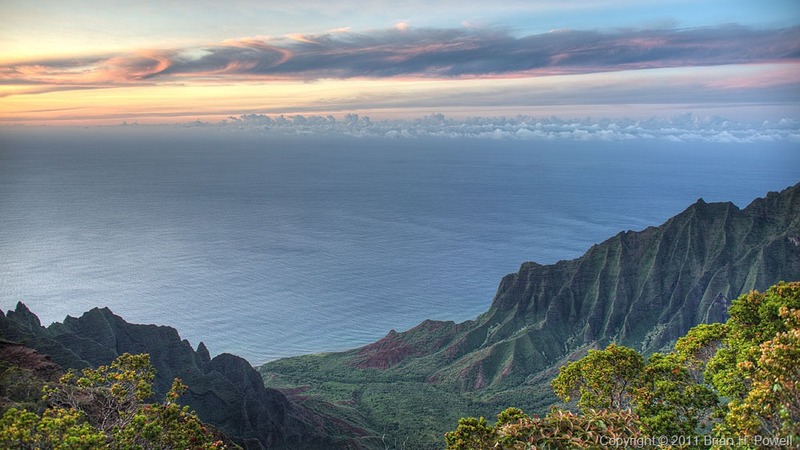 I also learned today that two people were killed Tuesday in an ultralight plane crash along the Na Pali coast of Kaua’i. I didn’t know them, but I saw the police and ambulance crews rushing to the north side of the island. We get through times like these with strength—our own inner strength, but more importantly, the strength of our friends and family. People who love us and care for us, and make us feel better when we lose loved ones and we hurt. 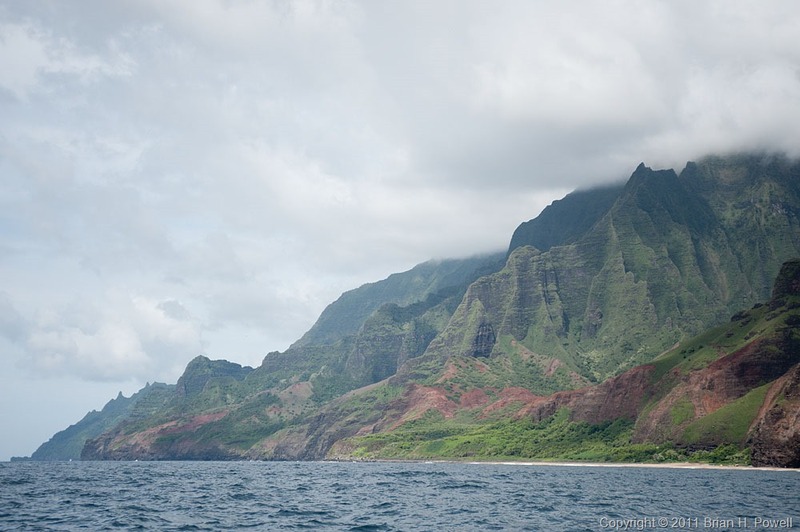 Today’s images are from the Na Pali coast. 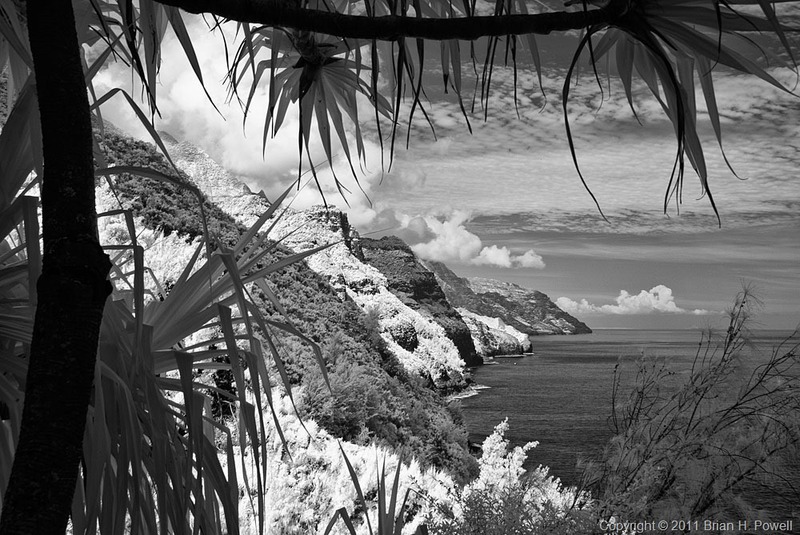 These photos are taken with my Nikon D200, which I had converted to an infrared camera by LifePixel. 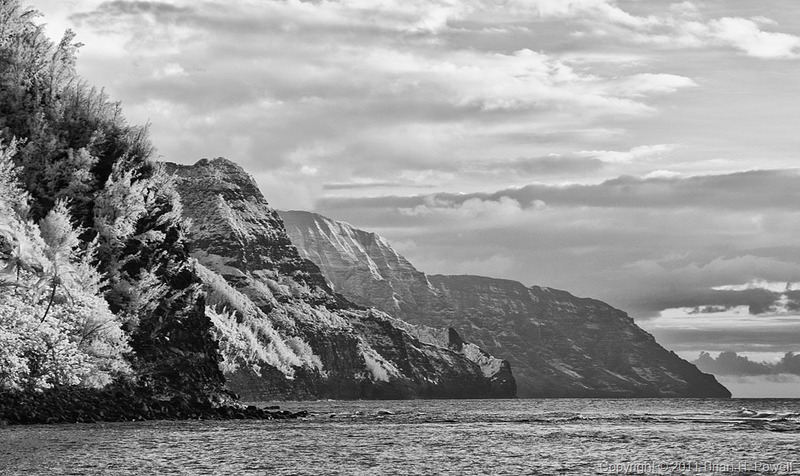 These daunting cliffs, especially rendered in infrared, say “strength” to me—Nature’s strength, the strength of the Hawaiian people who lived there, and the strength of the people who visit the coast today on foot, on the water, and in the air. This is a challenging place. I hope tomorrow’s better. See you then. I hung out today with my friend Jennifer, who lives in Boston, and we stopped at Kekaha Beach (along the south shore of Kaua’i) for a walk. Or in Jen’s case, a joyful run up and down the beach, running barefoot along the surf. I think that’s awesome… pursuing joy… finding joy. We should all do that more often. 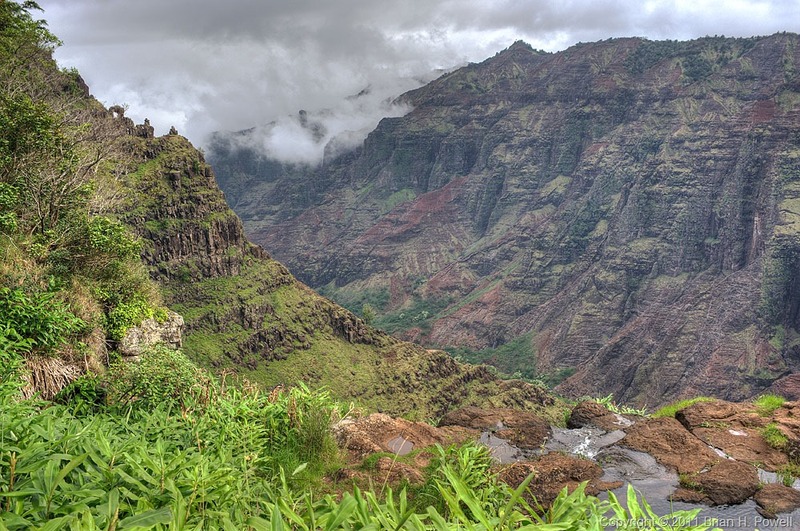 Aloha from the island of Kaua’i. I arrived this afternoon after nine hours of flying from Austin. I didn’t do much photography today; just trying to cope with the five-hour time difference, the travel, getting settled in… I did take a few photos with my iPhone. Before I started this trip, I asked a few of my friends to send me some words to inspire topics on this blog. I asked for non-concrete words—I think I used “love” and “laughter” as examples. Anyway, I got some great responses, and I will try to use some of those words in my blog over the next several days. Today’s (iPhone) photo satisfies several of the words (“purple” comes to mind), but the word that I want to apply here is “elegance”. 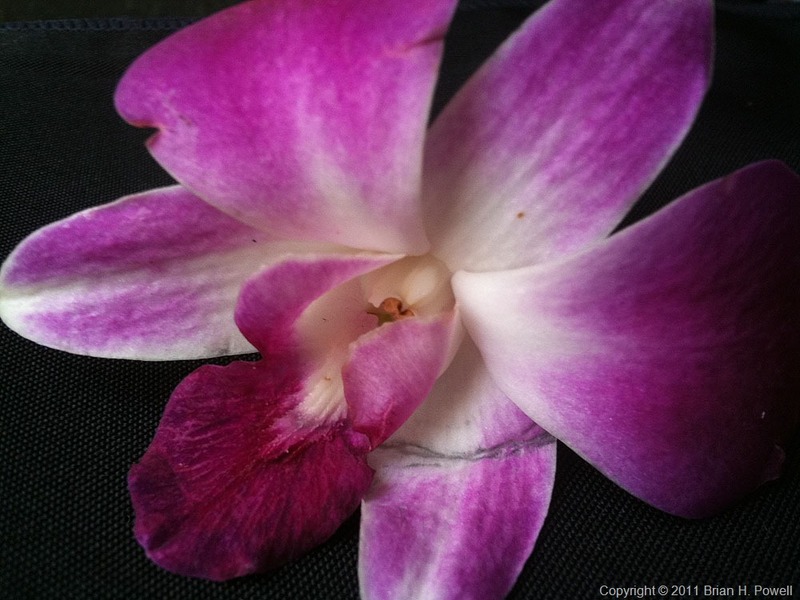 This flower, which came with my lunch, is imperfect, yet very elegant. I have friends like that. Amazing people with everyday shortcomings, insecurities, and flaws. It’s wonderful to overlook those things, and build incredible, supportive friendships with people who are beautiful in their own, unique, elegant ways. And thank you to all my friends who are willing to take a chance on me for those friendships—to overlook my own shortcomings, insecurities, and flaws. I plan to be back tomorrow with another image, and another word of inspiration.